1. 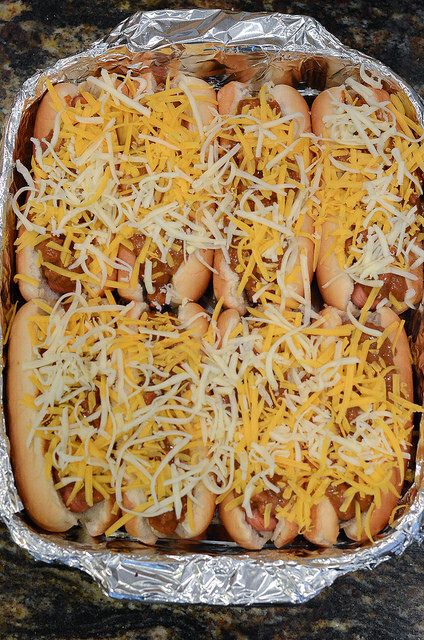 Chili dogs for a crowd – Throw these together a few hours before and stick them in the oven when your guests arrive. 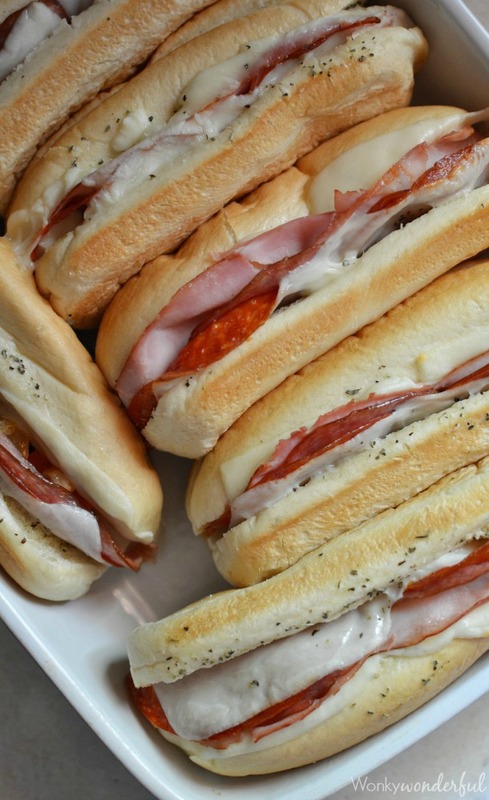 Such an easy party food for a crowd! 2. Pancake bar (or crepes, or waffles) Yum, I love a breakfast for dinner! 3. 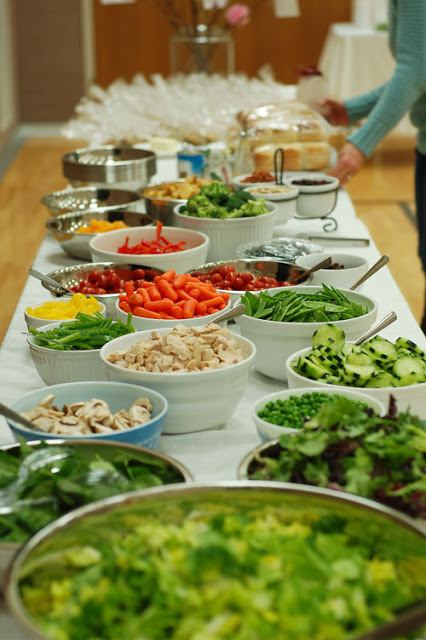 Salad bar – One of my favorites! Love me some veggies! 4. 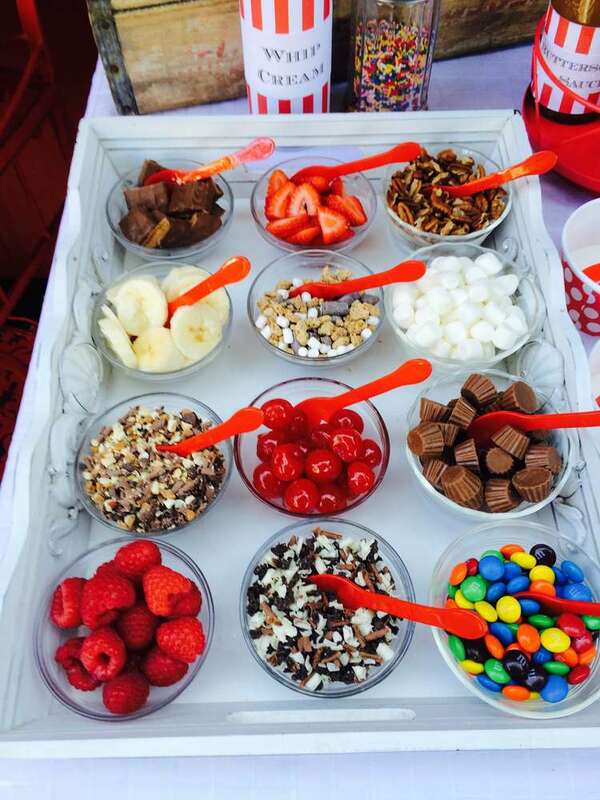 Ice cream sundae bar – Not sure this is a great dinner idea, but dessert layout is perfect. 5. 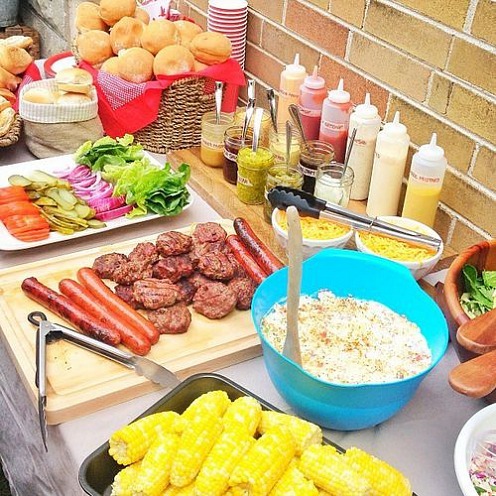 Baked potato bar – This is a way to provide cheap food for a crowd. 6. Crock pot chex mix is always a popular easy party food for a crowd! 8. 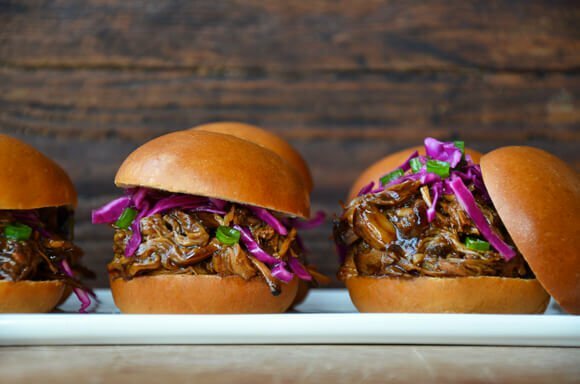 Balsamic pulled pork – These look so good. Really good. 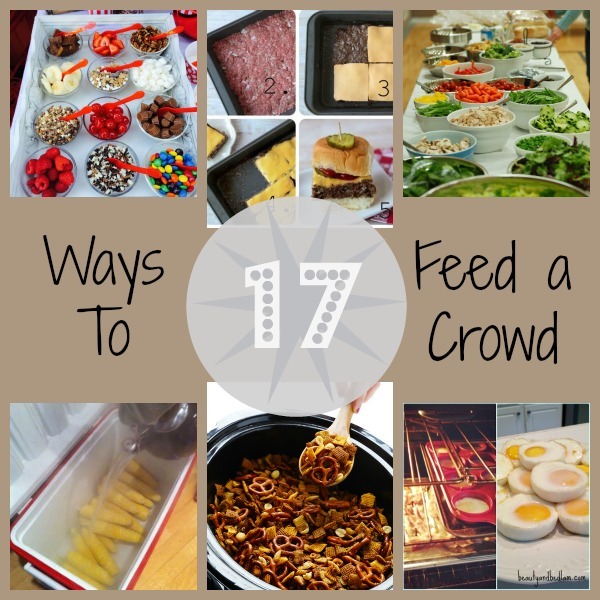 While it can be intimidating thinking about making feeding a crowd, these ideas can make it a snap. Stress less and enjoy the company at your next gathering. And if your crowd is your family, then make sure to check out Sun Basket. They are a meal-kit company with simple, and delicious family plans. Even better, their recipe cards come with a kid friendly section, which allows your child to help with the meal creation! If you’re interested in learning more, you can grab a coupon code, and read a recent Sun Basket review on MyFoodSubscriptions. 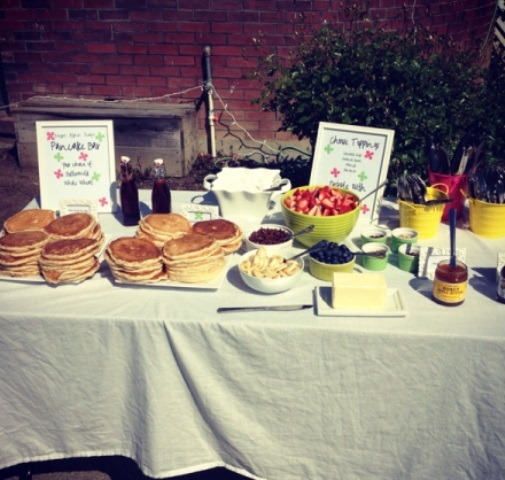 Thank you so much for featuring our ideas for pancake bars! 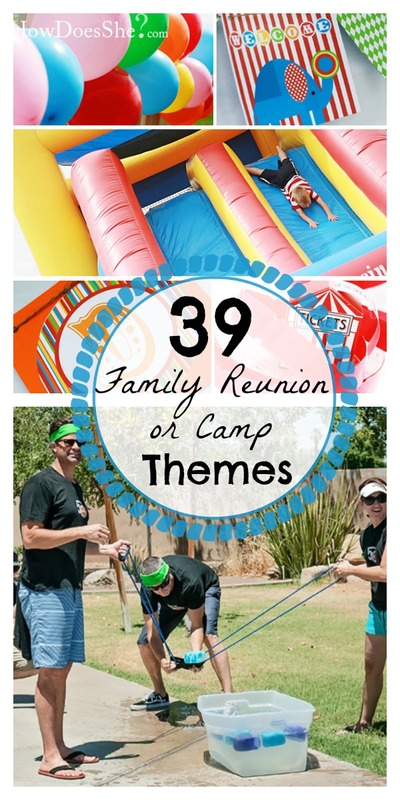 This is such a fun round up of ideas for feeding people! Thank you for sharing this post. Was not sure how to plan for our reunion. At least you have a couple “normal people” food recipes. We aren’t very fancy in my neck of the woods. People up here scoff at artichoke dip and couscous. Baked chili dogs and burgers and ham hoagies are what we eat here. Thank you! But could someone please come up with more “real” food ideas?